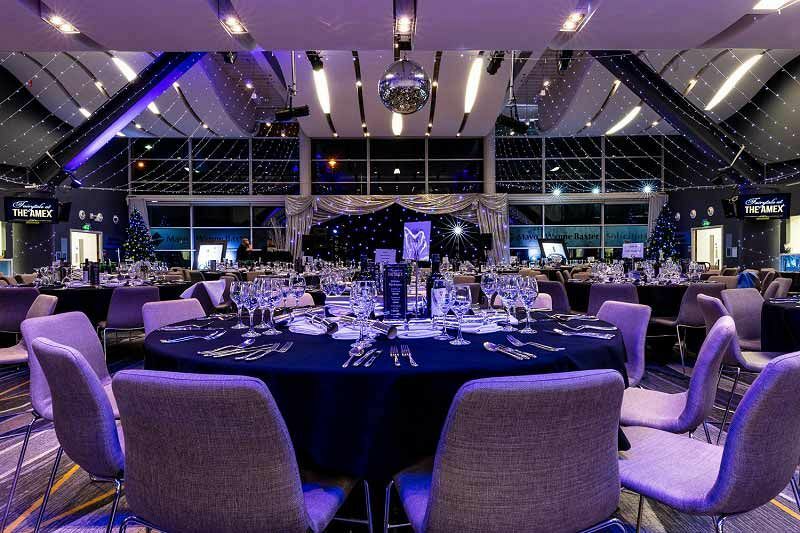 Get ready to experience an unforgettable celebration at one of Brighton’s most iconic sporting venues with these ‘It’s a Kind of Magic’ shared Christmas party nights. 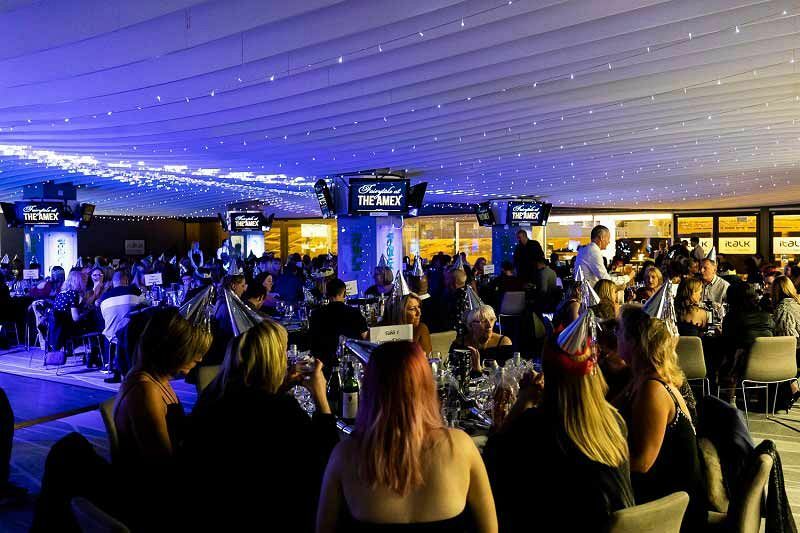 Ideal for small to medium sized groups who are looking to experience a larger scale party night, you’ll join various other companies, organisations and groups of friends on the night who want to round off the end of the working year with a bang! The party night begins with a delicious welcome drink, which will be sure to start the event in style. Enjoy sipping your drink as you chat with friends and colleagues and unwind after a long year. 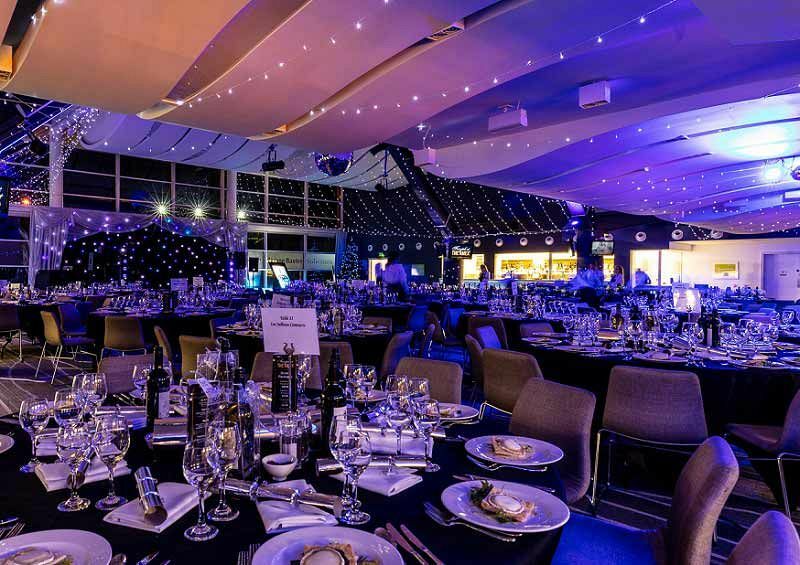 Soon, guests will be called to take a seat at their beautiful dining tables, where they’ll be able to indulge the senses in a mouth-watering three course meal from the fantastic festive choice menu. Each dish has been expertly created by the on-site catering team using the finest, locally sourced ingredients. After everyone’s enjoyed their dishes, the dining experience concludes with a serving of tea, coffee and festive treats. There will also be festive novelties at the dining tables, so don’t forget to pull your cracker with your neighbour! As the evening continues, the fun doesn’t stop there! Get ready to make your way to the dancefloor where the DJ will provide the soundtrack for the rest of the night. Look forward to all the best in music and dance the night away to all the latest chart and classic hits that will be sure to get everyone moving. A late bar will be open to 1.00am which will be serving all your favourite drinks. 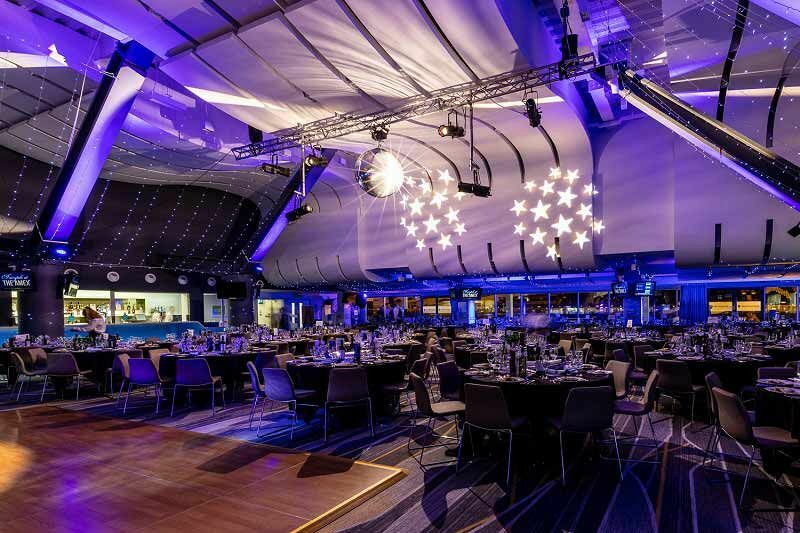 Send an enquiry through to this top stadium venue in Brighton today!